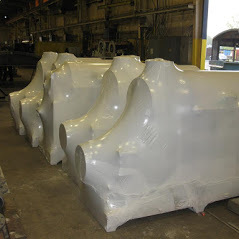 Protect Your Investment With Our High Quality Shrink Wrapping Products. 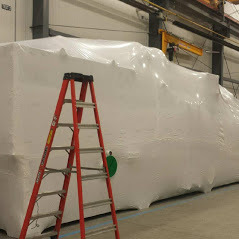 Shrinkwrapping Machinery Commercial Industrial Equipment, Freight, Construction Sites, Boats, Vessels, Helicopters and much much more. 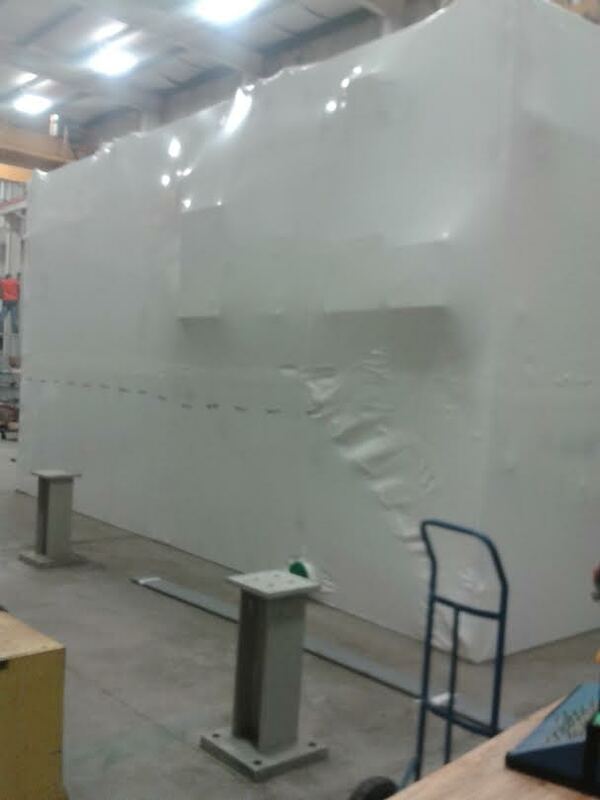 Whatever your company is delivering make sure your product is protected with our durable shrink wrap. 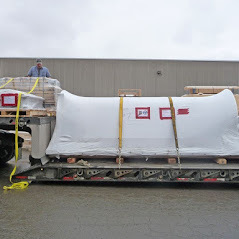 Mobile Shrink Wraps motto is "WE BRING OUR Shrink Wrapping SERVICE TO YOU" we have been around for over 20 years. 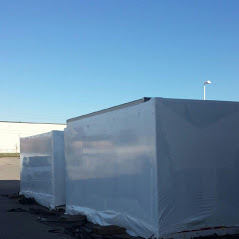 Mobile Shrink Wrap is a Trusted professional Shrinkwrapping service organization specializing in the preparation of your valuable assets for outdoor storage and shipment. 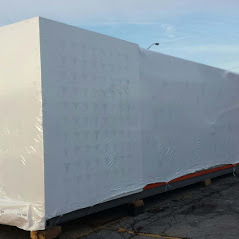 Mobile Shrinkwrap is proudly servicing The Toronto, Mississauga, Oakville, Burlington, Hamilton and The Niagara Region. We offer you an exceptional way to store your machinery and tooling OUTSIDE! Completely safe from all weather factors and elements storage allows you to open up your workshops/machine shops sooner. Storing items outside allows you to avoid unnecessary time delays to keep your businesses operational at the highest efficiency levels. Open up that space in warehouses and cut the storage costs by moving your tooling and machinery OUTSIDE! 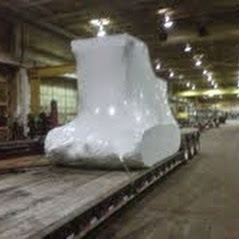 Protected by our phenomenal shrink wrapping technology! 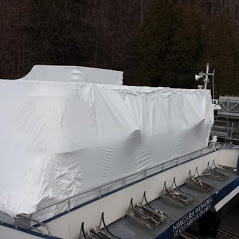 Using patented procedures and exceptional plastic shrinkwrap of extraordinary strength and durability, our shrinkwrapping technicians provide on-site shrinkwrapping services to commercial, industrial and residential customers. The key to this unique shrink wrapping service is our shrink film. 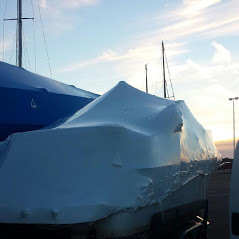 When properly applied by our skilled personnel, this high quality, heavy plastic material provides a remarkable protective cover around any object. 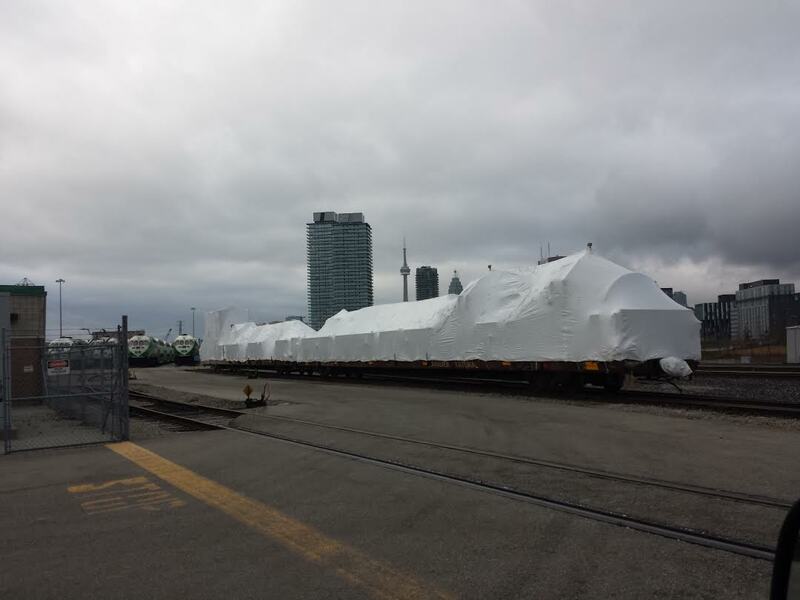 The finished product provides a form-fitting, impenetrable barrier that resists wind (extremely important during transport), rain and other elements. 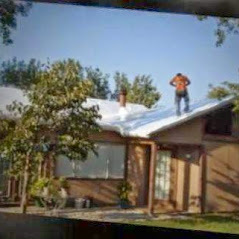 Because the cover is heat sealed, it affords complete protection even under the most adverse environmental conditions. And although it provides an excellent protective seal, this unique wrap can be removed in minutes. But the versatility of our incredibly tough shrink film reaches well beyond the world of manufacturing to include a wide range of other applications in other industries. 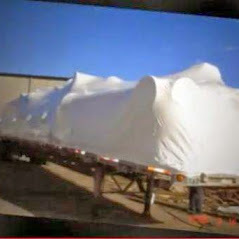 For instance, we've built temporary shelters to permit outdoor construction crews to meet critical wintertime schedules. Our material has been used to construct tents for fairs, greenhouses and temporary living quarters for victims of disasters. Auto dealers use our film to protect their investment prior to sale. The protection afforded by our shrinkwrapping service is so good that insurance companies have recommended our services to ensure the integrity of property during claims settlement.